It's Barb with BugBites and I am cruising by with a treat for all those boys out there. What little boy doesn't like race cars. I used the Ticket Book die to make my treat topper and backing for my treat holder. 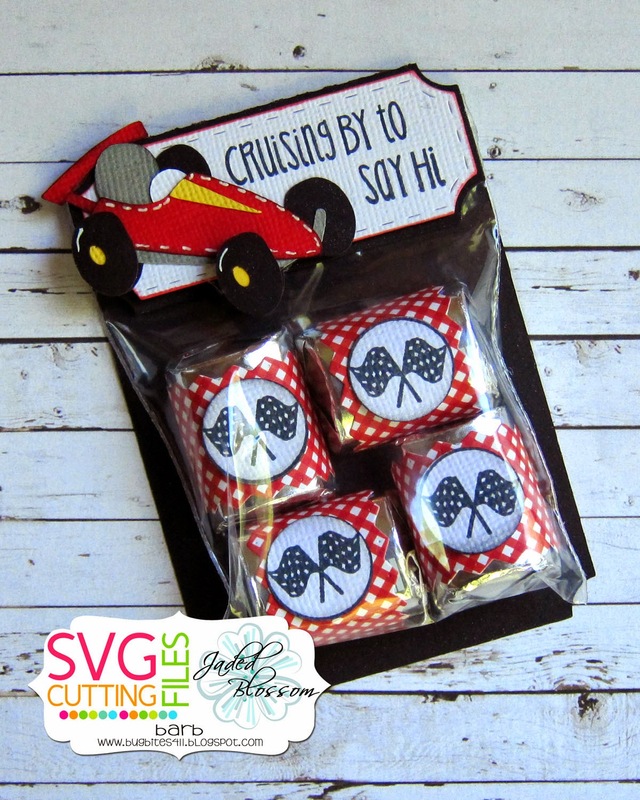 The little race car is from SVG Cutting Files here. Here is the rest of the fun stuff I used to put this treat together. What a FUN treat Barb! 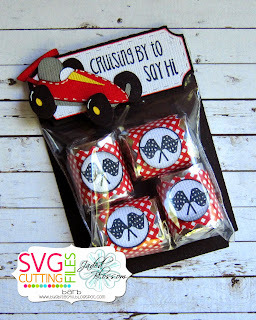 love the candy wraps and the race car is fantastic!